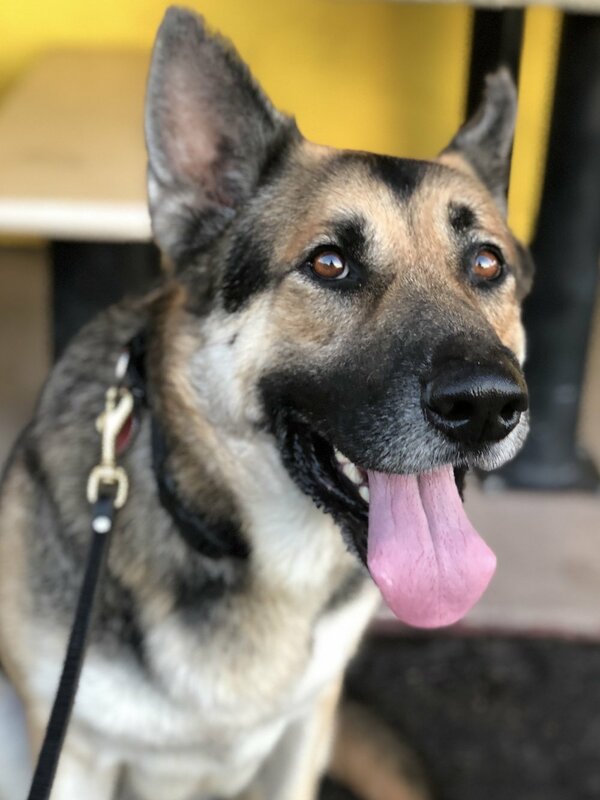 Rockstar is a gorgeous young German Shepherd of between 4 and 5 years old, around 60-65 lbs. He is a medium energy dog who is active and playful, wanting to join in all the fun with an active family. He loves going for car rides and grabbing a hamburger (patty only please) while running errands. He loves to shake hands with each paw, is very affectionate and interactive. He walks well on leash and knows his basic commands and gets along with other dogs. We don’t know about his history so prefer older dog savvy kids. He has not been cat tested. He is currently in boarding and longing for a family for the holidays.